Does anyone remember Mohit Goel? Ringing Bells' managing director has been released from jail after serving a six-month sentence for failing to deliver the “world’s cheapest smartphone” to customers. Goel now claims he can deliver the Freedom 251 smartphone within next four months. “My vendors didn’t deliver on time and I failed. Our company’s President Ashok Chadda is still languishing in jail. I need one opportunity to come back clean and provide people handsets by March-April next year,” Goel told news agency IANS. 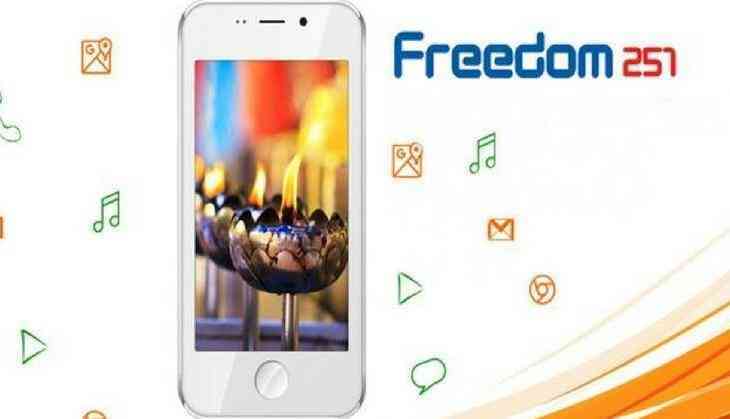 He added that he was not focusing on anything but the dream of delivering the Freedom 251 smartphone to the consumers. Back in February, Goel was detained by the police on allegations of fraud after an FIR was lodged against him by Ghaziabad-based Ayam Enterprises. According to Press Trust of India, the firm claimed that Ringing Bells defrauded it of Rs 16 lakh. Now Goel claims he can deliver by April 2018 if the government lends him some support. He had earlier complained that the government didn't step forward to offer support for his ‘Make in India’ and ‘Start-up India’ initiative of providing every citizen of the country with a smartphone. After being released and seeing the state of the smartphone economy in India, Goel noted, "The big players today have adopted my model and are now giving smartphones in as low as Rs 1,300, like Karbonn. The Jio model for paying Rs 1,500 in advance for a smartphone is similar. They have deep pockets so they can afford but why don't people ask them how they are making smartphones so cheap?" Just this Sunday, two people were arrested for allegedly cheating Ringing Bells of Rs 3 crore. Mohit Goel filed a complaint. According to that complaint, the accused had struck a deal with him. The deals were to supply economical mobile phone sets. Furthermore, the accused had failed to deliver after the company had paid the advance. The accused - Vikas Sharma and Jeetu, both residents of Delhi - had apparently failed to replace the faulty sets worth Rs 3 crore. The two were sent to Dasna Jail. “I paid the duo nearly Rs 3.5 crore and, in return, they cheated me. They siphoned off the money and did not deliver any phone. In February this year, some distributors filed a case against me and I was jailed for six months. Now with the fresh arrests, people will come to know why I failed to deliver on my promise,” Goel told IANS. The company had, back in February of 2016, planned to deliver 2.5 million handsets by 30 June. Ringing Bells had received a massive 70 million registrations. The company had announced that it delivered 5,000 handsets in July of last year and that a further 65,000 would be delivered. After that though, no new numbers were shared. It remains to be seen whether Goel can finally live up to his promise of delivering the world's cheapest smartphone till date.